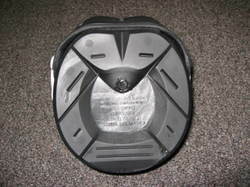 I had a nice ride today in four of the new Easyboot Edges. Despite the weather being abnormally warm for this time of year the ride went very well. I'm extremely pleased with the Edge for three reasons. 1. The Edge is very easy to fit. It slips right on. 2. The fastening mechanism on the Edge and the boot design make for a glove like fit. I rode in a bunch of sand today and collected less than a thimble of sand/silt in each boot. 3. 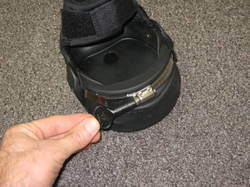 The boot fits feet of abnormal shape very well. It fits normal feet even better. 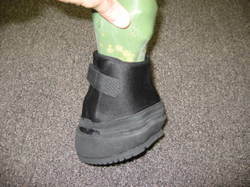 As of today the Edge is better than any hoof boot EasyCare currently has on the market.